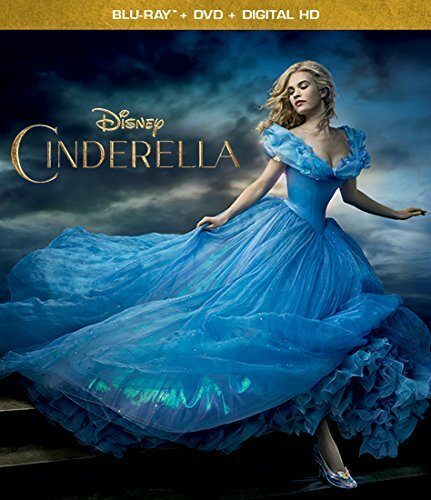 Cinderella Pre-Order 2-Disc Only $22.40! You are here: Home / Great Deals / Amazon Deals / Cinderella Pre-Order 2-Disc Only $22.40! Coming September 15! Pre-Order Disney Cinderella 2-Disc Digital Package for Only $22.40! You save 39%! Celebrate Disney’s CINDERELLA, a modern classic that shines with beauty, imagination… and magic! Despite being bulled by her stepmother (Cate Blanchett) and stepsisters, a spirited Ella (Lily James) resolves to take charge of her fate. Add a royal ball, a Fairy Godmother (Helena Bonham-Carter) and a glass slipper, and suddenly — magic becomes reality!